It was only two weeks ago that the leading lights of retail were meeting at MAPIC and so some may wonder why ICSC is so important to attend. Three colleagues and I made the trip to New York to forge relationships with our new US partner, The Shopping Center Group, and the Chainlinks of US retail brokers. At a time when all of our clients in London are seeking the next new occupier, we have taken the step of building our network of contacts to introduce new brands from the US into London. 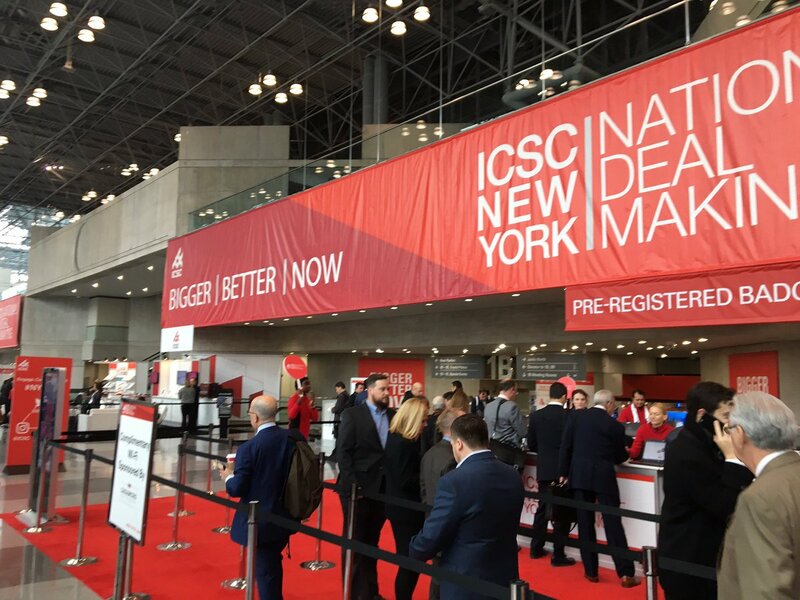 To readers that have not made the trip to ICSC NYnDM, it shares similarities with both Revo and Completely Retail conferences in the UK – the US brokers are there to do business across USA, it is not really a conference to discuss opportunities overseas. Many brands, however are prepared to reach out to advisors in new markets that they may consider entering in 12 months time – this is where we benefit. The conference is well attended with over 10,000 delegates. The mood is mixed, not a dissimilar feeling to UK or European conferences this year – no one really knows which way the market is heading. Having listened to the key note speech from Kevin Plank at Under Armour, however, it is clear there are some great new occupiers still to reach our shores that will light up the retail experience. In his words, the new 53,000 sqft Manhattan space previously occupied by FAO Schwartz, that Under Armour is now heading to will become ”the best shop in the world“. Yet interesting stats from ICSC include that 95% of all holiday season purchases will be from omnichannel retail – online retailers cannot function without a bricks and mortar presence.